Cat has all the while been a magic wealth animal many decades since Egypt and after many miracle story of cat magic curing money and kick issues and problems, many other countries start to worship and tap on the energy of cat to fetch wealth and cure money issues. Asia especially Japan worship cats and they believe after placing cat on a certain spot of the house or office, the cat will bring wealth, money and good luck. Feng shui highly use cats figures or paints to cure a person wealth or money issue. Soon, Thai master start making cat Thai amulet. 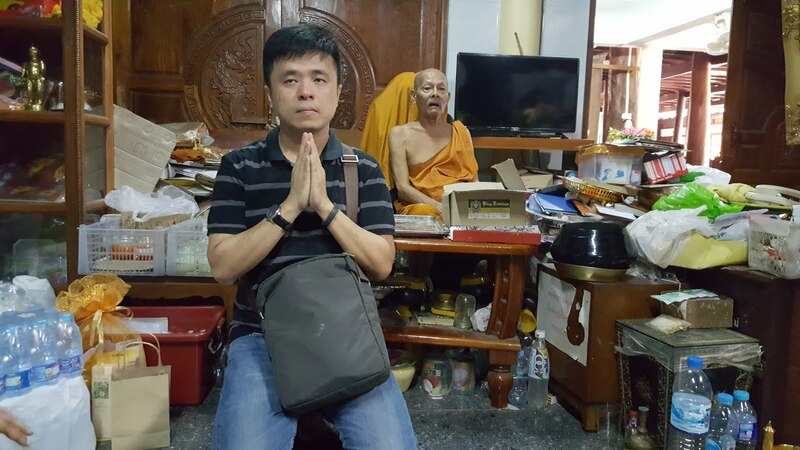 They told me recently, these few years, a very famous master who is able to make very powerful wealth changing cat Thai amulet. 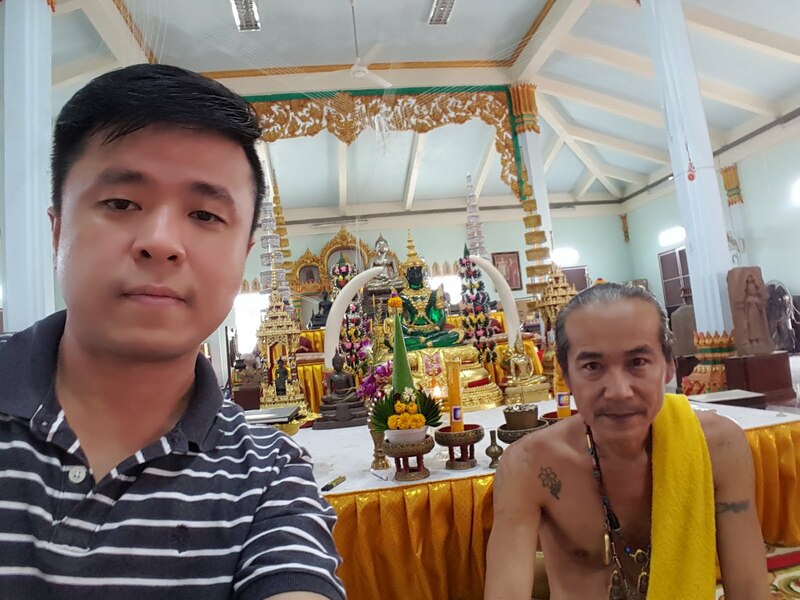 His cat wealth changing Thai amulet are so powerful until he got a nickname : king of cat. I am very curious about this master. I know they are many masters who make or bless cat Thai amulet. The untold truth? Most of them lousy! And I love wealth Thai amulet. Who don't love money anyway and furthermore, many people told me that his wealth cat not only promise wealth, but change your wealth and luck to better! One of the best wealth transformation so far! Soon, I met this legendary master. I ask him why and how his wealth changing cat Thai amulet are bless and make. He told me one night, he dream of a mother cat giving birth. 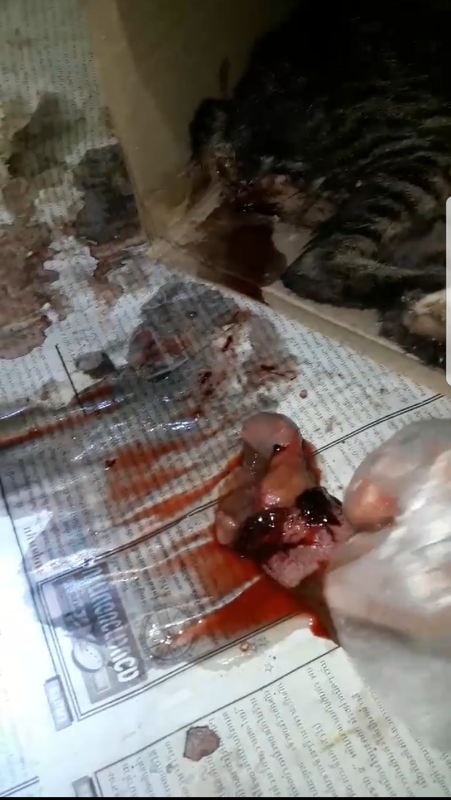 During the process, one of the baby cat die. He cry seeing that because he himself is a cat lover. Seeing the cat die pain his heart. Out of sadness, he wake up from his dream. He got a feeling going to happen. True enough, one day, when he was in a temple doing his prayers, he he was lead to witness a mother cat giving birth. And true enough, during the process, one of the baby cat die. Do not has heart beat upon birth. 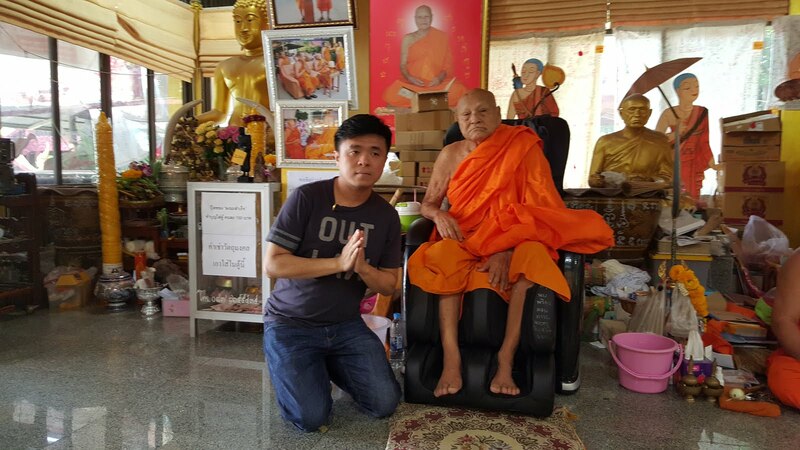 He vow to liberate the cat by doing prayer and help the cat to reborn to better realm. At night, at his prayer room, while he was praying for the cat, out of nowhere a white man appeared in his mind. And say: I can see you has a kind heart. I shall now teach you how to make 1 of the world most powerful cat amulet. This cat amulet will has wealth changing force that will change anyone wealth and luck to better! 1 of the most common heard miracle of this wealth changer Thai amulet is that there is this man, who near to kill himself out of debt. He say he has help many people in his life, done no harm to anyone. But gods are not showing him any mercy! He is always in debt and getting worse and worse! His friends refer him to the master, and master ask him to keep 1 of this wealth changer Thai amulet on his body. Soon, he experience auspicious dreams which beyond explain. He dreams of cats coming to his house, with each cat biting gold bar. 1 day, a Thai officers knock on his door. They say the government want to develop the land where he is staying and willing to offer 3 times the price he bought last time with a free house for him! 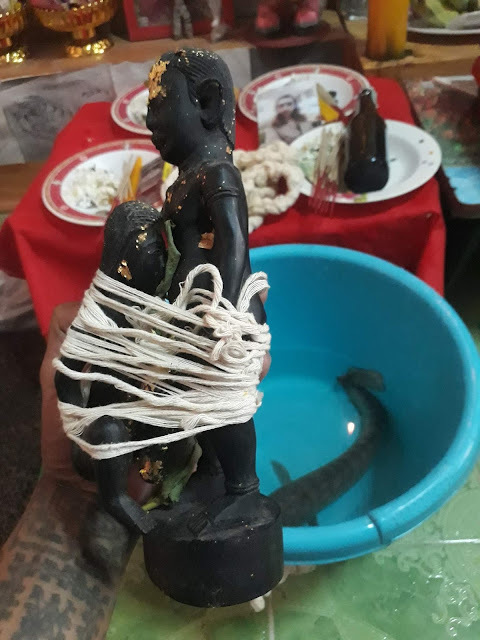 He immediately agree and within 3 months he got this holy cat wealth changer Thai amulet, he clear all his debt with the money he got from selling of the house. Bonus :he got extra cash and a free house! 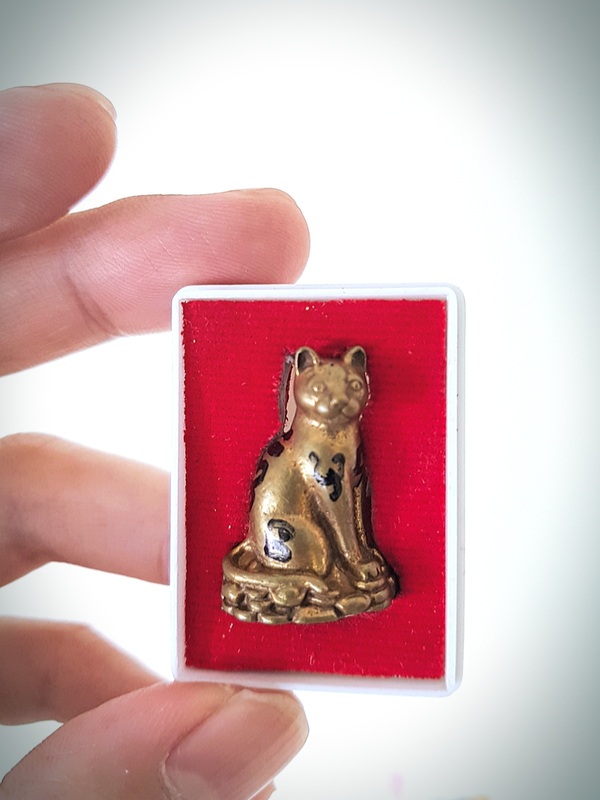 Soon, as more people experience unbelievable wealth changing after owning this wealth cat Thai amulet, this master becomes very popular in Thailand and China. Many China amulet dealers request him to make more or bigger cat statute for Feng shui cure. He say : I make this wealth cat Thai amulet is because I purely want to help gain karma for this baby cat. I myself own 1 and it came to me every night in my dreams to play with me and thanks me. Sincerely pray to this cat and you will experience a true force wealth changing in your life! 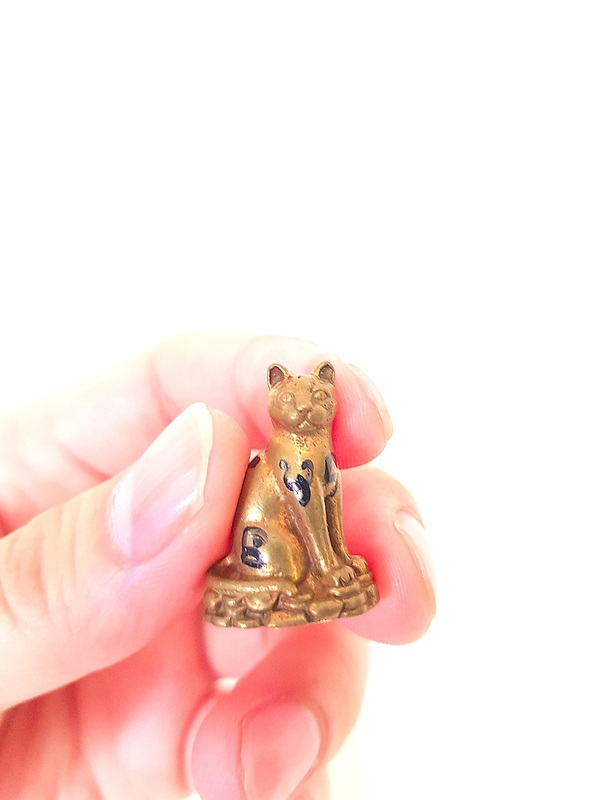 This wealth cat Thai amulet is bless with support of summon of 8 direction wealth and money. Inside so contains a secret formula that will make you attractive to Gods and the cat wealth energy. Instead of you tiring keep praying, you will be teach and given the "secret evocation keys" for attracting wealth Gods and cat wealth energy to you. This is 1 of the safest and simplest wealth amulet ever create for changing your wealth and money luck to better. This enrichment wealth cat also give you the power to discover more wealth and money. With this power, you will feel powerful as money and wealth opportunities keep knocking on your life. Many people has hidden wealth from the people around us. This item will give you the Power To Ensure A Good Inheritance. With this wealth cat in your life, you will be given the power to empower yourself. Many people feel helpless, poor, debt because they are weak or unlucky or powerless. With this empowerment, you will be given the power to grow wealth or chance your money luck to better. new ideas come to you more easily, and you will get a better sense of an idea’s long-term potential. Without new ideas, business dies, so this is an extremely potent wealth and money power. matter how hard you work - you stay in the same financial zone. This wealth changer cat amulet can push you out of that zone. Leave debt for good. Build your future for better.